Cavan, all in the peerage of Ireland. His family home was Wheathampstead House on the bypass, now the junior department of the St Albans Girls' High School. Lord Cavan is 5th from the left in this photograph. for 42 years. Bequeathed a portrait of himself on horseback in hunting pink as Master of the Hertfordshire Hunt to Ayot village hall. It was presented to him by the farmers of the hunt to mark his retirement in 1921.
surrounded by a mixed pack of eight to ten dogs. She made Wheathampstead a rendezvous for croquet enthusiasts from all parts of the world, and was herself most expert with a special mallet of her own made with a solid ivory head. The family were descended from Oliver Lambart, a goldsmith in London, who was knighted at the storming of Cadiz, appointed Governor of Connaught in 1601, and received large grants of land for his part in reducing the province of Ulster. So a warlike family who had served the crown and been well rewarded for their services. Looked down on by the Garrards as being Irish upstarts, whereas the Garrards had been created baronets by King James I, actually some time later. Such was village rivalry. Educated at Eton he was gazetted to the Grenadier Guards in 1885. 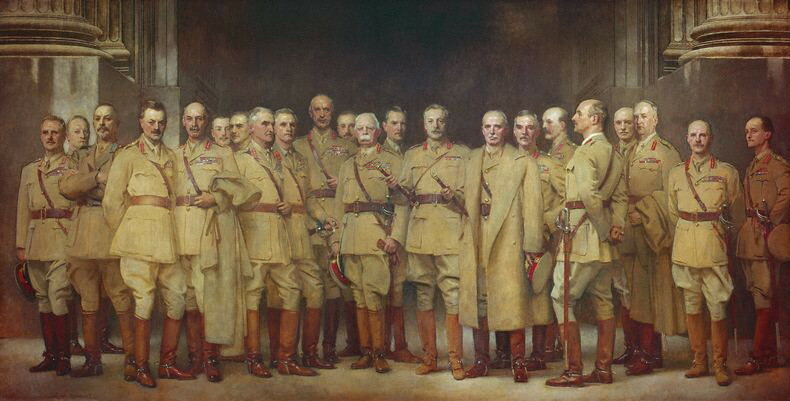 Went to the South African Wars in 1900 and commanded a battalion of Grenadier Guards there from 1908-1912. Retired before the 1914-18 war, but was recalled to service aged 49 in 1914 and distinguished himself at Caporetto, the Italian campaign, in the victory at Vittorio Veneto. Fought at Ypres and the battle of Loos. Commanded the XIVth Corps at the 3rd battle of Ypres in the summer of 1917. On retirement he became Master of the Hertfordshire Hunt. He married first, in 1893, Caroline Inez, daughter of Mr George Baden Crawley; she died in 1920. Inez Cottage in Lower Luton Road is named after her. Older inhabitants recalled her sitting in a tree and reading on the other side of the road from the family house, a bridge having been constructed over the road specially for her to walk there. After WWI he married, in 1922, Lady Joan Mulholland, D.B.E., daughter of the 5th Earl of Strafford and the widow of Captain the Hon. Andrew Mulholland (eldest son of the 2nd Lord Dunleath), who was killed in action in 1914. 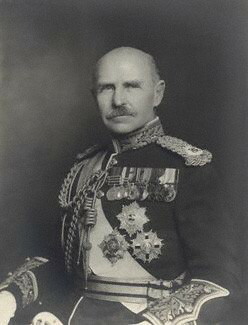 Lord Cavan became Colonel of the Irish Guards in May, 1925, and of The Bedfordshire and Hertfordshire Regiment in December, 1928. From 1929 to 1931 he was Captain of the Corps of Gentlemen-at-Arms, and commanded the troops at the coronation of King George VI. He left two daughters, and was succeeded by his brother, the Ven. the Hon. Horace Lambart, whose wife died in 1942. More detail on Lord Cavan can be found on the following Wikipedia reference.